If you are still determined to read more about rock climbing then you may want to visit RockClimbing.com, www.climber.co.uk, or ABC-of-RockClimbing; these pages contain extensive links to other climbing sites on the Internet. Great printed area guides are produced by ROCKFAX; they try to keep their guides up-to-date by offering online updates. The Swedish company coronn.com also offers area guides; their guides are distributed electronically as PDF files. See climb-europe.com, www.thecrag.com, and www.rockclimbing.com for the heroic attempt to survey and index Europe's or even the world's climbs. See www.mountainproject.com for a good survey of (mostly) US climbing areas. A search for "rock climbing" by means of Google will also reveal a wealth of climbing-related sites. See also bergsteigen.at, basislager.ch (which offers great up-to-date information on the current rock/ice conditions in various routes in the Alps), AlpinTouren.com, Austria-Aktiv.at, and www.iceclimbing.at (all of them in German). If you are capable of climbing multi-pitch routes with a rating of VIII (UIAA) or higher, then you might want to take a look at Alpinrouten.de. 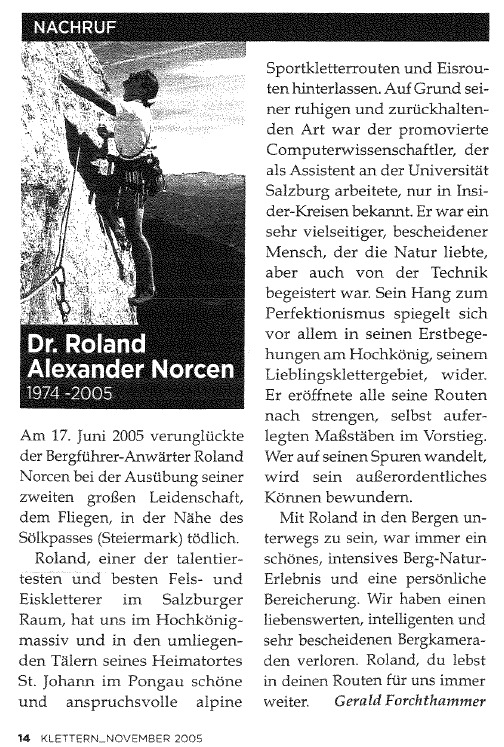 In memoriam Roland Norcen: My friend, mountaineering buddy and colleague Roland Norcen died on 17-June-2005 in a tragic accident. Those who knew him will remember him as a very gentle and amicable person, and as an avid and keen climber, both on rock and on ice. The local climbing community will remember him as somebody who put up some of the finest climbing routes that we have in the Greater Salzburg Area. 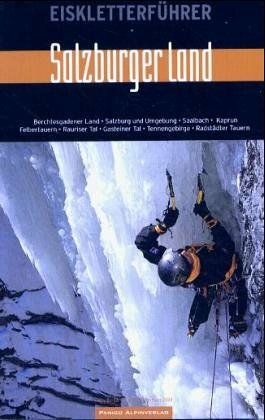 And all of us climbers will remember him when we take a look at recent guidebooks co-authored by him: Ice Climbing in (the Province of) Salzburg, and Best of Extreme, which covers Alpine sport climbing around Salzburg in the UIAA ratings VI-X. (Both books are published by Panico Alpinverlag.) 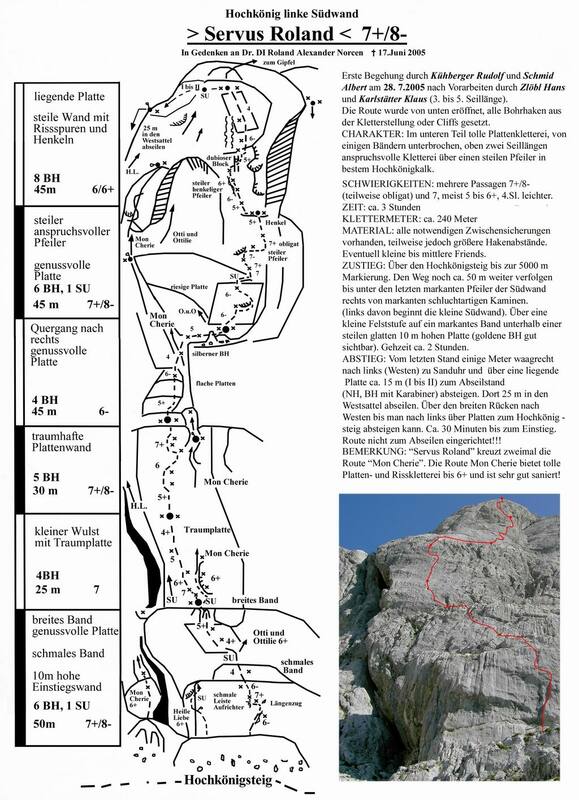 Those of you capable of reading German may also want to read a Nachruf auf Roland and have a look at a rock climbing route dedicated to him: "Servus Roland" (Hochkönig Südwand, VII+/VIII-). Climb on, and climb safe!